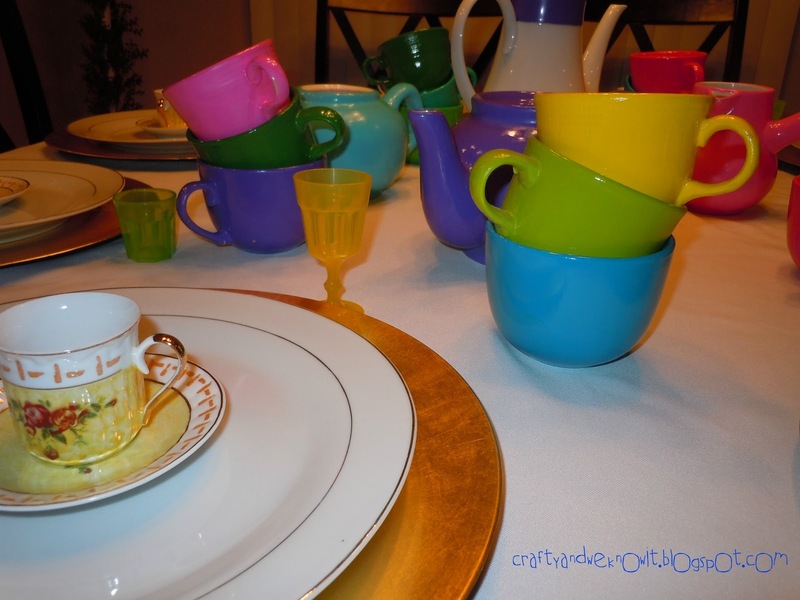 This party was set to the scene of Alice in Wonderland. 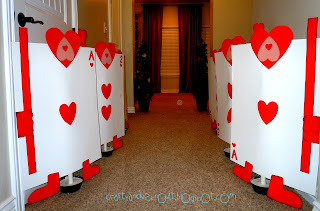 As the party guests arrive out of the rabbit hole (aka; the front door).. they are greeted by the card guys! 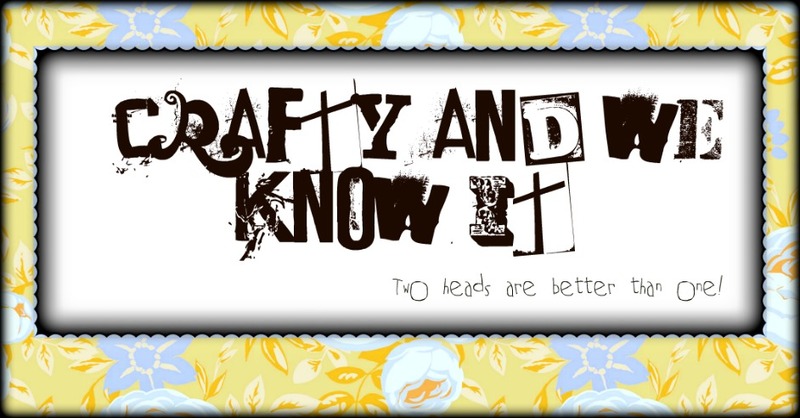 (Tutorial post coming by Dawn, watch for it). How fascinating to be welcomed by such a scene. I'm sure all the little party guests were giddy with excitement! 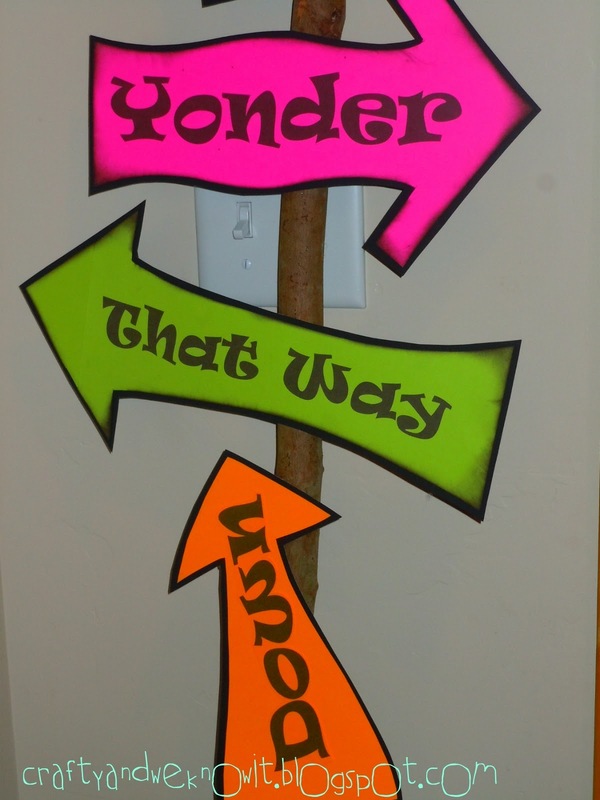 It's one thing for a little girl or boy to receive a fun party invitation, but to arrive at the party and feel like your part of the theme, is beyond thrilling! The troop of heart card men to greet the party guests! 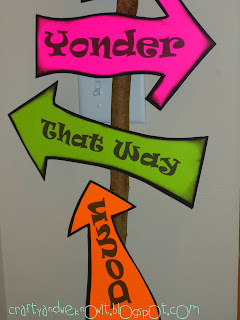 The sign to help them choose the way ... that way , yonder or down... Oh BOY! 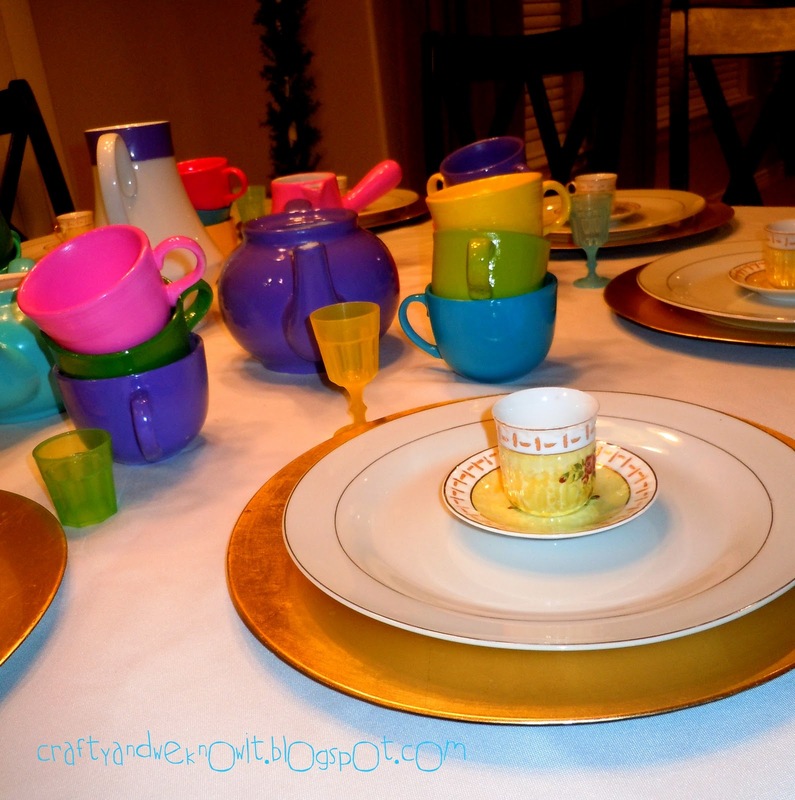 The table is set with real tea sets, and gold chargers with china placed atop of it! 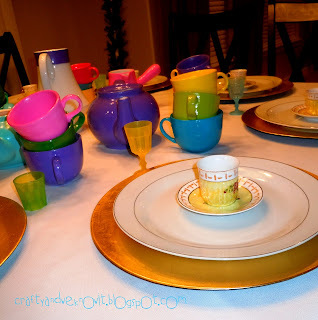 Up close picture of the tablescape. Great job was taken to get as close to Alice's table as possible! Dawn will do a follow up post with more fun details of the party events, food, and favors she incorporated into this divine Alice and Wonderland theme party! 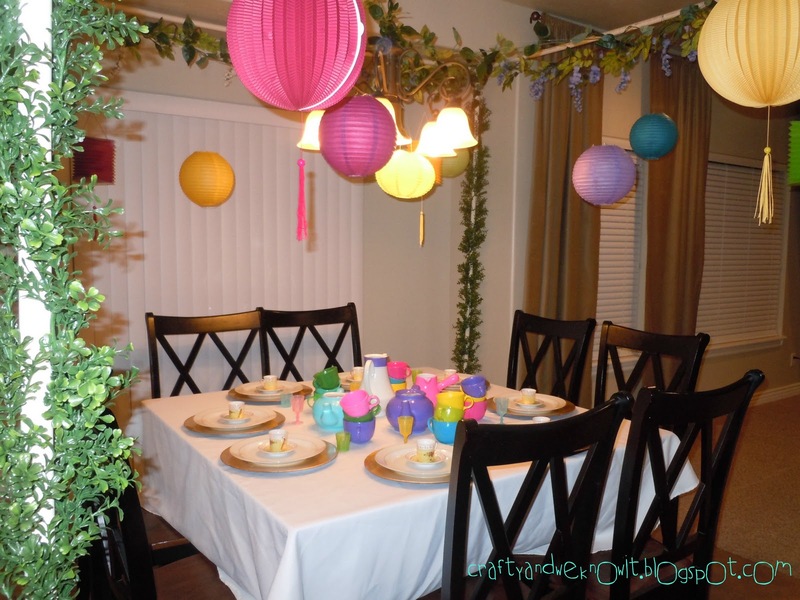 What a darling idea for a party.